September Sale at Shabby Cottage Home ~ 15% OFF!! Shabby Cottage Home is offering 15% OFF ALL Cottage Garden Decor during the entire month of September, use code "gardendecor" during checkout! 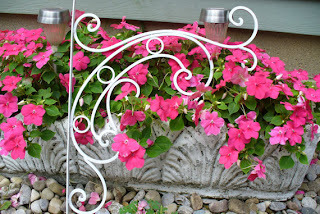 Shabby Cottage Home (KatsKoolStuff) offers fabulous Home & Garden Décor, Furniture, Cabinets, and Dresser Knobs, Wall Decor Hooks, Princess Crowns, Nautical Beach Decor, Wedding Décor, Country Farmhouse Decor, Cast Iron, Wrought Iron, Vintage items and much more. This is truly a shop that you don't want to miss while you're taking a stroll through all of our boutiques at Shabby Cottage Shops! Hope everyone has a wonderful Labor Day weekend! Thanks for stopping by! Shabby Cottage Shops, it's where the finest boutiques gather!! SALE!! 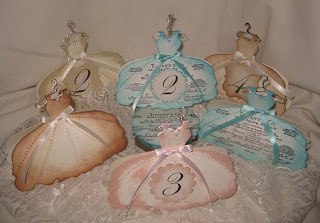 ~ Cottage Garden Decor at Shabby Cottage Home!!! 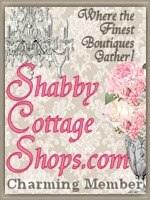 Shabby Cottage Home is having a great sale for the entire month of August in their "Cottage Garden Decor" shop! You can enjoy an additional 10% off everything in this category by using this code during check "garden"! 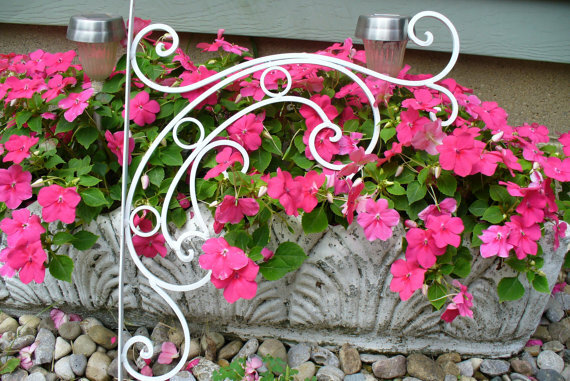 You'll find a wonderful array of great garden decor like the items pictured below! Stop by Shabby Cottage Home and start saving today...hurry for best selection! 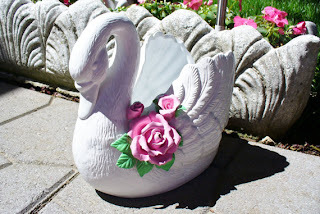 Beautiful Swan Home & Garden Planter Pink Roses Shabby Cottage Chic Style on sale 10% OFF, just be sure to use the code "garden" when you check out at Shabby Cottage Home! Not only will you find unique cottage garden decor, but a huge selection of wonderful cast iron appliques, furniture knobs and handles; nautical beach cottage decor and of course, Shabby Chic decor. 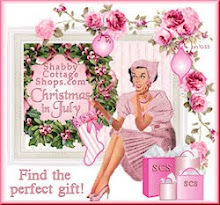 Find it all, in one place at Shabby Cottage Home! 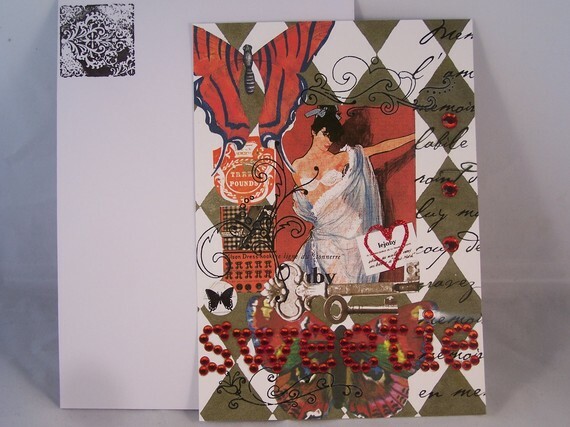 Kat is the owner and has just recently opened her shop here at Shabby Cottage Shops! 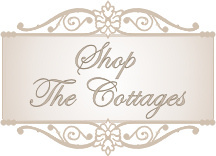 You'll find Shabby Cottage Home in Beautiful Cottage Boutiques, be sure to stop by and visit today, we're thrilled to have this wonderful boutique become a part of our fabulous online shopping community and think you will be too! Can you Believe...It's Christmas In July! We'll be hosting Christmas In July again this year, even though it's well over 90 degrees most everywhere! I wish I could have snow for our annual Christmas In July Shopping Extravaganza, but I know that won't happen! But here's what will be happening this year! Christmas in July will start on July 24 and end at midnight, EST July 28. Our participating shops will be offering up some great gifts and super savings during this time, so you'll want to be sure to take a peek at what they will be showcasing this year! Remember, all of our shops are owned by truly talented folks and create some of the most unique handmade items, many of which are one of a kind. 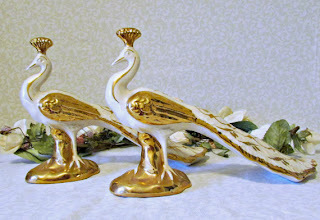 You'll find paintings, vintage style home decor, French style, Country Farm life decor, porcelain bathing beauties, roses and so much more being offered during Christmas In July this year! We will also be doing a giveaway...the giveaway item details will not be revealed until July 24, but it's worth the wait, please be sure to stop by and enter. 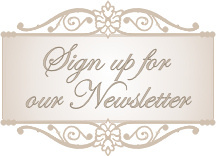 It's going to be very simple and quick, just send us an email and sign up for our newsletter, that's it. The giveaway will end on July 31st and the winner will be announced on August 1 in our newsletter! 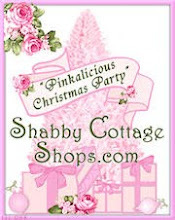 We hope you'll join us, find the perfect gift at Shabby Cottage Shops during our Christmas In July shopping event! It's all about CreatingCottage, welcome our new shop! Creating Cottage in one of our new shops who has just recently joined us on the front page, here at Shabby Cottage Shops! This unique boutique offers one of a kind handmade roses in the shabby chic cottage style with the look and strength of porcelain ceramic. In Renee's etsy shop you will find original designs in romantic furniture appliques, wearable art jewelry pieces, vintage Victorian accents, pink accessories and decorative embellishments including push pins, fabulous home decor, unique Rose jewelry and beautiful rose wedding frames. Below you'll see pictures of just a few of the wonderful handmade items being offered at Creating Cottage. If you are a DIY crafter or absolutely love roses, you'll adore this shop, as much as we do! We invite you to stop by and visit our newest boutique, Creating Cottage here at Shabby Cottage Shops, please extend them a warm welcome. Shabby Cottage Shops, where the finest boutiques do gather! 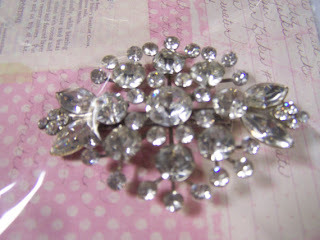 French Bleu Vintage is having a fabulous French Estate Sale and a giveaway. Stop by Between Naps on The Porch blog to enter for a chance to win a $50 gift certificate from French Bleu Vintage. You'll also find a very special discount code available on this blog post for an additional 15% OFF your entire purchase during their French Estate Sale at French Bleu Vintage! Hurry, the giveaway ends Valentine's Day, Friday, February 14 at midnight! A New Year and New Shops! Hoping you all had a wonderful holiday season and are enjoying 2013. The time just seems to fly by anymore and I guess it's true that the older you get the quicker the time flies! Let's hope 2013 is a great year and that the number "13" will not be unlucky for anyone! I wanted to share with you about the new shops who have joined us either over the holidays and just in the past two weeks! These shops are a great addition to all the fabulous online boutiques here at Shabby Cottage Shops, we're so proud to have them join us! Please meet and greet Petit Somme, French Style Events, Fine Romance and vintagique. Each shop offers unique items and are the perfect compliment to our online shopping mall! 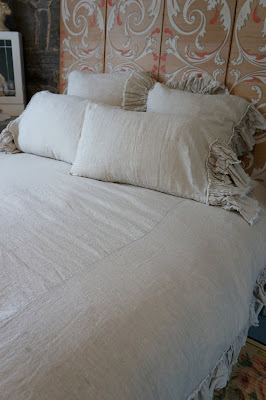 Petit Somme offers some of the most gorgeous Romantic and French Inspired Bedding Styles Bedding Coverlets, Unique Duvets, Boudoir Pillows, Cases and Shams. Below is just a sampling of what this lovely shop has to offer. 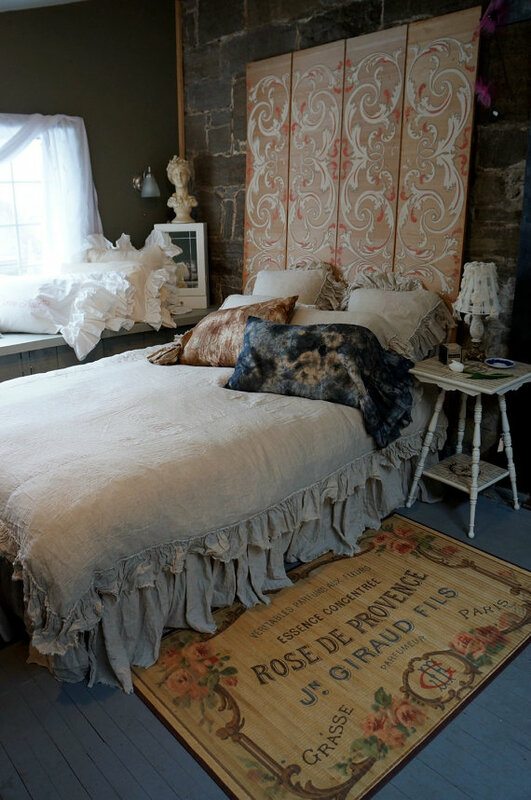 Whether you love the hot French Style, Shabby Chic or European inspired lifestyle, Petit Somme can create it for your boudoir! Each item is custom made and takes approximately 2-3 weeks to create. The fabrics used and styles created, certainly suggest an ambience fit for a queen! Please stop by and welcome Petit Somme to Shabby Cottage Shops, we are ecstatic they have chosen to open their online shop here on the front page! 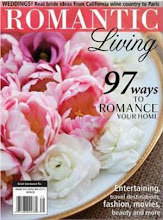 Fine Romance Vintage Shop has just recently joined our group of wonderful shops on Rose Cottage Court. They offer an eclectic mix of vintage home decor, vintage mid-century modern, Hollywood Regency, industrial office, art pottery, glass, collectibles and more! 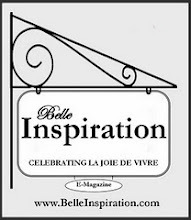 Be sure to visit this shop if you love all things vintage and need that special item to add Fine Romance to your home or office space today! 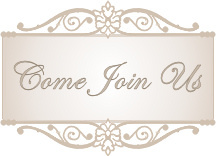 French Style Events is another new store on Rose Cottage Court and the name says it all! 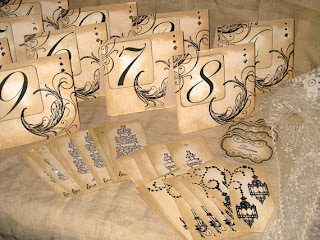 This shop offers fabulous custom handmade cards, favors and gift items for any event you are planning! 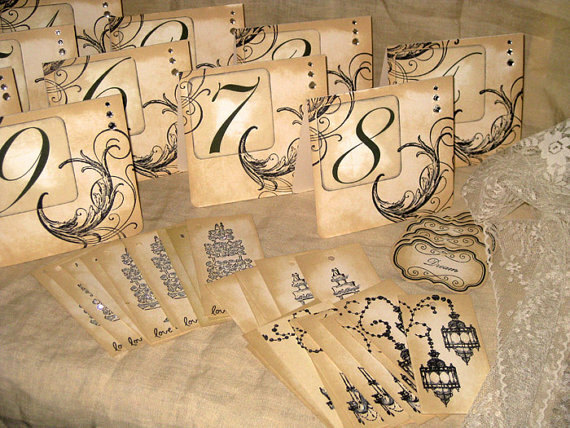 You'll find a wonderful selection of wedding signs or banners, exquisite table number cards, wedding or party favors, Tiffany inspired favors, glassine bags and more, all meticulously designed in a vintage French or vintage inspired style! 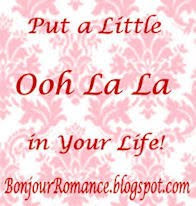 Make your next event the talk of the town when you let French Style Events create everything you need to do just that! You can rest assured that every item created is made using only the finest quality acid and lignen free papers. They also offer wholesale to the trade, want something very unique, one of a kind and custom for your shop, email them for more information today! Last, but certainly not least, we have a new store in Beautiful Cottage Boutiques appropriately named vintagique. 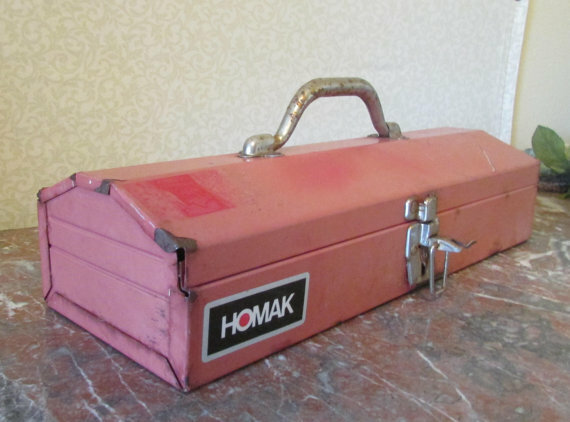 If you love Shabby chic, cottage or vintage industrial styles, then this is the shop for you. You'll find a wonderful selection of gorgeous vintage jewelry, unique and mixed media greeting cards, hard to find old patterns and threads, linens and even some wonderful bridal items in this lovely shop. If you are looking for vintage inspired art and unique vintage finds...then look no further, find it at vintagique while taking a stroll thru our shops today! 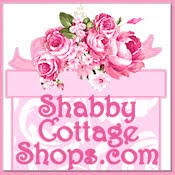 Hope your day is going great and you have enjoyed meeting our newest shops here at Shabby Cottage Shops, it is where the finest boutiques gather!